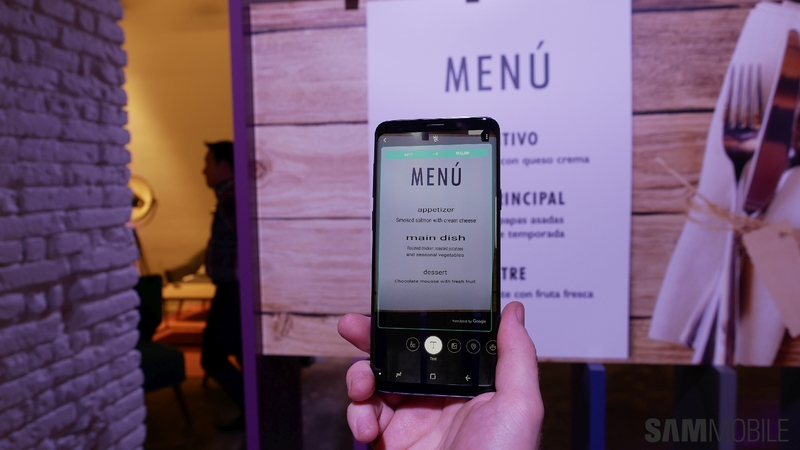 A few days ahead of Samsung’s Unpacked 2018 event, we were invited to a private session for a hands-on demo of the company’s latest flagships, the Galaxy S9 and Galaxy S9+. 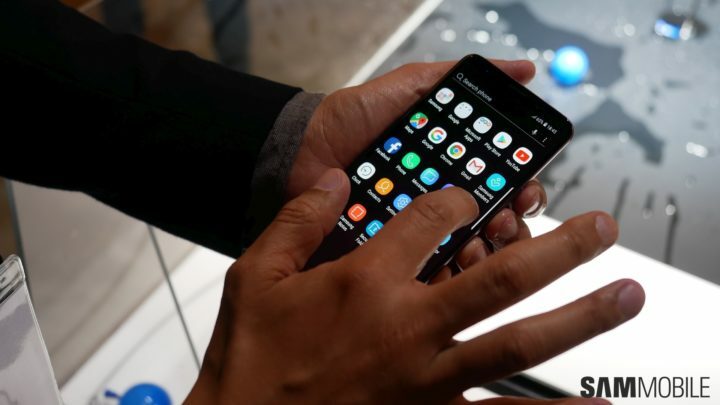 Samsung presented us with a few key facts about how consumers used their device in 2017: People around the world took 1.2 trillion photos that year and sent 5 billion emojis and 1 billion GIFs per day. 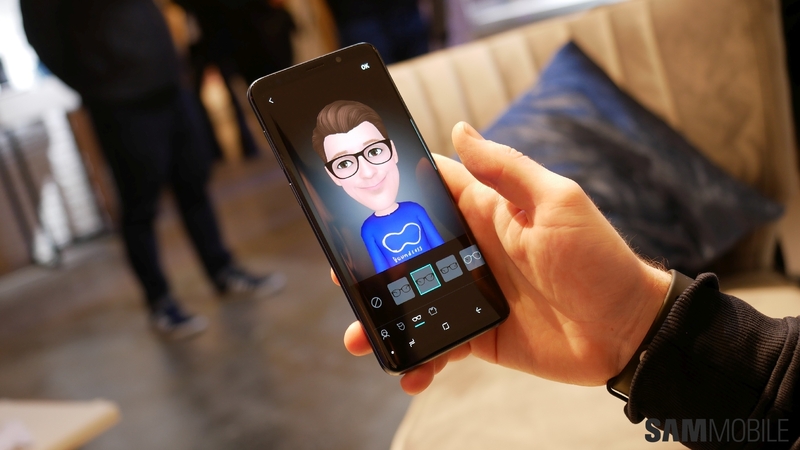 As a result, Samsung decided to make the following three pillars the basis for the ninth-generation Galaxy S flagships: Camera, Entertainment, and Connectivity. Let’s go into detail to see how the company went about making sure the Galaxy S9 and S9+ would impress when it comes to those pillars, but first, we’ll talk about the Galaxy S9’s design. 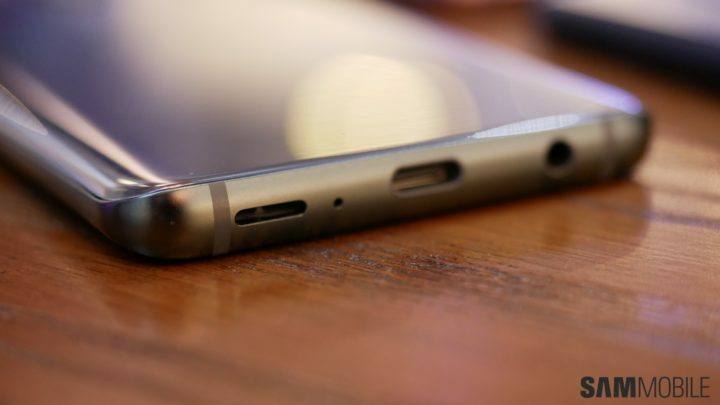 The first thing we noticed about the design is that Samsung has stepped up its game in terms of how premium the phones feel. The Galaxy S9 and S9+ feel better to hold than the Galaxy S8 and S8+; the devices are also heavier in the hands, thanks to the increased thickness of the metal rim. 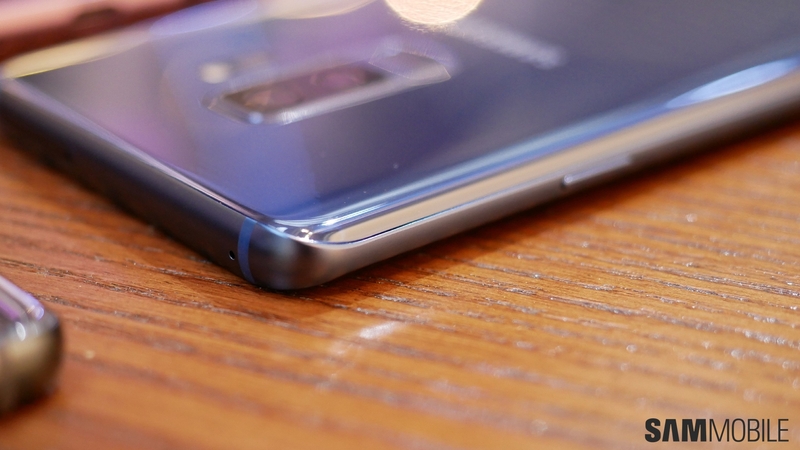 The metal rim has a matte finish now instead of the glossy finish we saw on the S8. 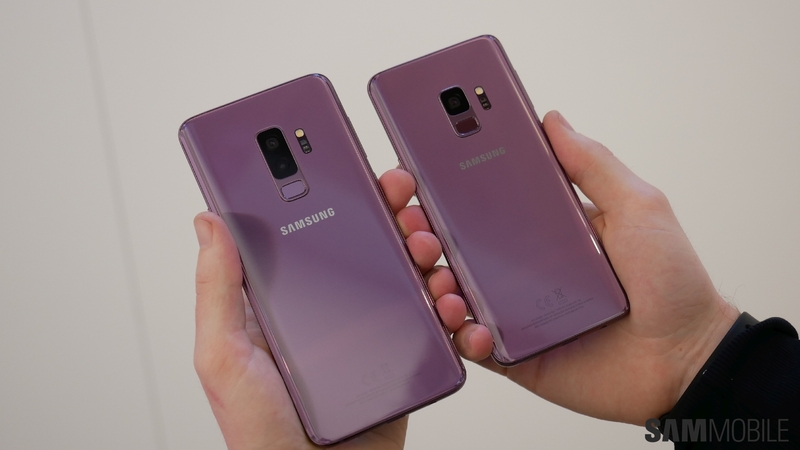 The thickness of the glass has been increased as well, in an attempt to make the S9 duo less fragile compared to their predecessors. The bezel beneath the display is slightly smaller than the top bezel – this is not super noticeable, but it does mean that the bezels are less symmetrical this time around. At the back, the fingerprint sensor has been positioned below the camera sensor for easier access. There are a few minor design changes as well. 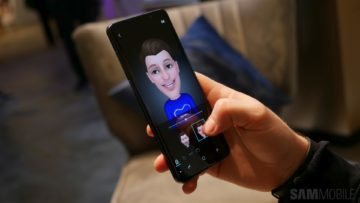 The iris scanner above the display is darker to make it blend in and almost invisible to the eyes, so you’ll mostly just see it when it’s in action. 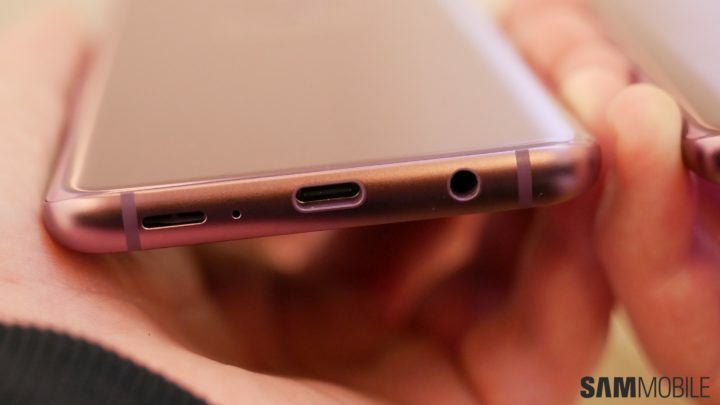 The speaker grill is now positioned on the left of the USB Type-C port and is one big cutout instead of having multiple small holes. 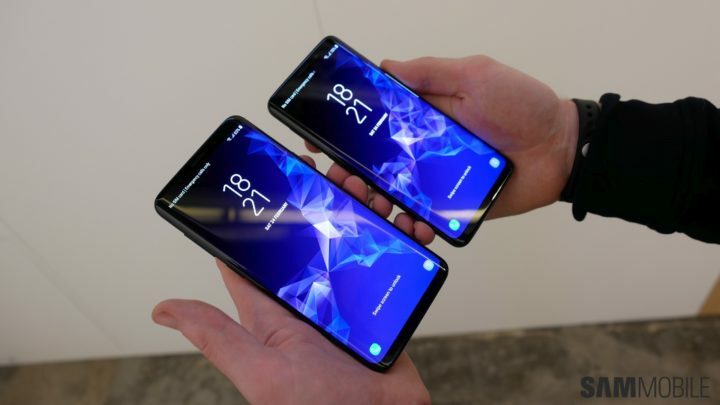 The screen sizes, meanwhile, remain the same – 5.8 inches on the Galaxy S9 and 6.2 inches on the Galaxy S9+. The resolution is Quad HD+ (2960×1440), although both phones come with Full HD+ as the default resolution. 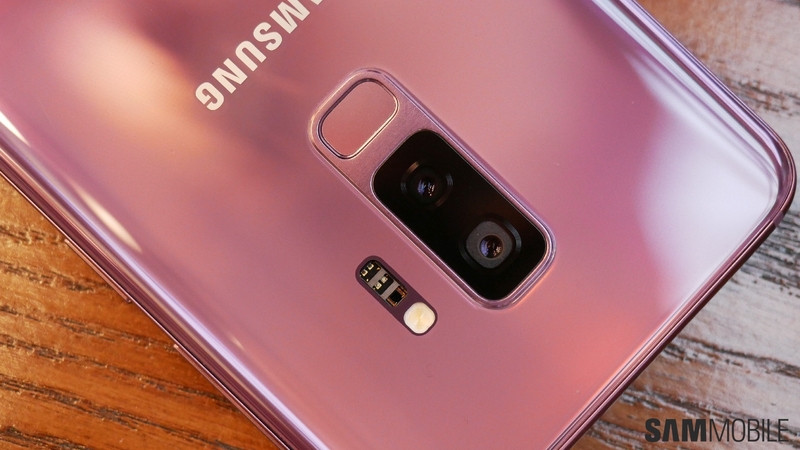 The primary rear camera on the Galaxy S9 and Galaxy S9+ is a Super Speed Dual Pixel sensor with a Dual Aperture lens. Thanks to Dual Aperture, the camera can switch between an aperture of F1.5 and F2.4. According to Samsung, the S9 and S9+ capture 28 percent more light compared to the S8 and S8+. Noise is also lower by 30 percent in low-light conditions when the aperture is set to F1.5. When it’s too bright, the lens switches to F2.4 to take clearer photos that aren’t overexposed. The Galaxy S9 and S9+ can capture slow-motion video at 960 frames per second with the Super Slow-mo feature. There’s a dedicated mode that automatically detects motion in the frame and starts recording slow-motion video. 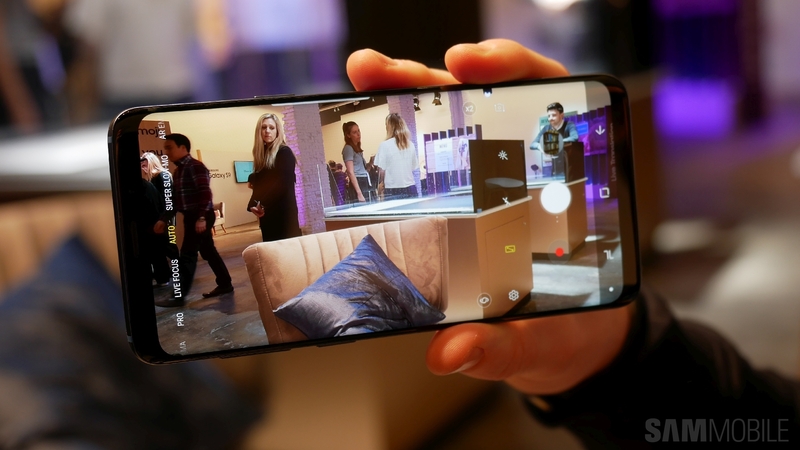 The frame needs to be manually defined, much like the rear-cam selfie mode on Samsung phones, but once the user has set things up, slow-motion video is recorded every time the camera detects movement. These slow-motion videos can be shared as video or animated GIF files and can also be set as the lock screen wallpaper. However, the length of these wallpapers is limited to 15 seconds. The camera on the S9 duo also features an improved dedicated image processor that is four times faster than the one used on the Galaxy S8. The image processor has a dedicated piece of DRAM memory reserved for its operations, and the camera can directly send data to this processor for faster and more fluid camera interactions. The camera also combines up to 12 frames to capture a single photo, ensuring the highest quality possible. 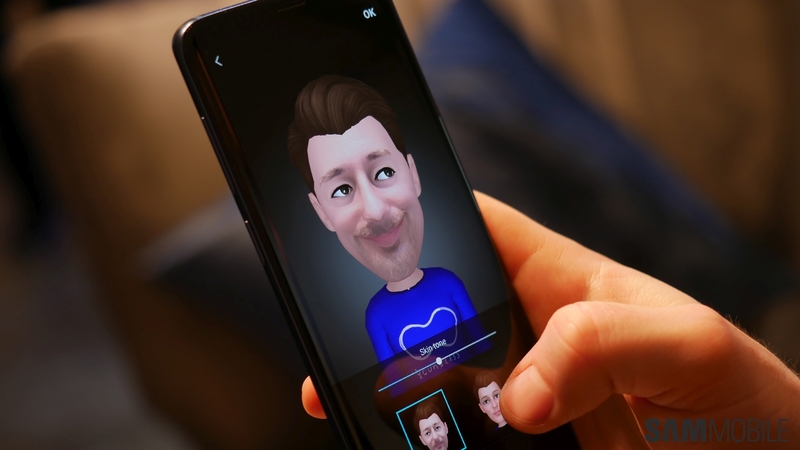 AR Emoji is the other major camera feature introduced with the Galaxy S9. It’s similar to Animoji seen on the Apple iPhone X and allows you to create a set of custom emojis that look, sound, and act like you. These emojis work in almost all apps and can be shared just like regular emojis. Look for a separate post on how AR Emoji work in practice. Bixby Vision is also getting new functionality. 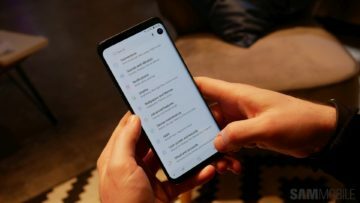 These include Bixby Live Translation, Bixby Locations, and Bixby Food. Live Translation can instantly translate foreign language and currency in real-time. Bixby Locations supplies you with pointers on all kinds of Points-of-Interest (POI) around you in the real world. Bixby Food is for the health freaks and will tell you the name of a dish and the calories it contains. This information can then be added to S Health so you can keep track of your daily intake. The Galaxy S9 and S9+ fix a major complaint that consumers have had about Samsung flagships for years by introducing stereo speakers. These speakers are tuned by AKG and are 1.4 times louder than the single speaker on the Galaxy S8. During our hands-on, Samsung showed us a few videos demonstrating the Dolby Atmos sound system, which gives the effect of 360-degree sound. We were positively surprised by the result; the stereo speakers sound a lot less flat compared to the Galaxy S8 loudspeaker. Wondering where the second speaker is located? Well, it’s integrated into the earpiece, an implementation that is common on phones from other manufacturers. The AKG-tuned earphones are also part of the package, just as they were with the 2017 flagships. The new phones obviously feature the Super AMOLED Infinity displays seen on the S8 and S8+ as well. Samsung has added adaptive contrast management, allowing higher contrast in direct sunlight, where it is needed most. 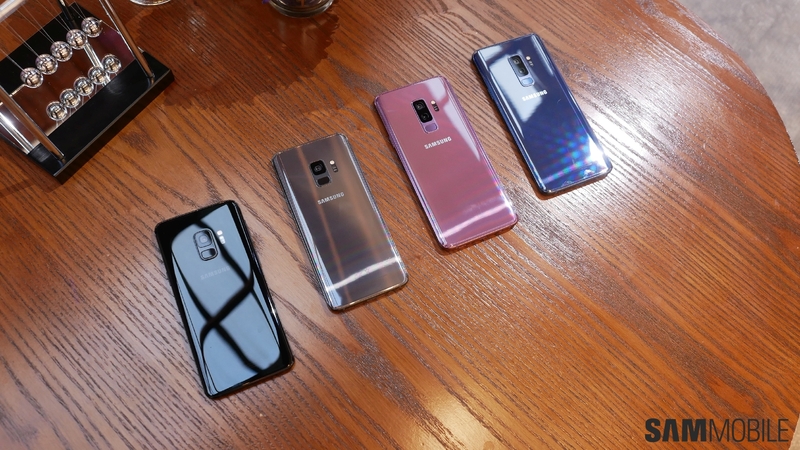 Last but not the least, these phones are powered by the latest Exynos/Snapdragon processor, and the Galaxy S9+ gets 6GB of RAM, so you can also expect a top-notch gaming experience that’s enhanced by the stereo speakers. Last year, Samsung introduced the DeX Station, which allows one to dock the phone and connect it to an external display, mouse, keyboard, and even an Ethernet cable. The second iteration of DeX is the DeX Pad. Since the DeX Pad lays down the device flat, the phone’s display can be used as a touchpad or keyboard, removing the need to carry external keyboards and mice. It also enables you to use the headphone jack and speaker when the S9 or S9+ is docked. 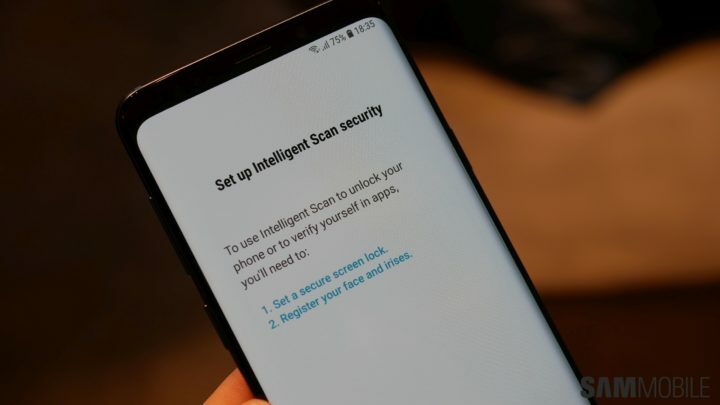 For those who will use their S9 or S9+ as a word device, Samsung has added a customized DeX mode that would, for example, only allow editing of documents and other functions your company permits, disabling things such as gaming or social network apps. The enterprise mode is protected by Knox 3.1, Samsung’s latest defense-grade mobile security platform. The Galaxy S9 and S9+ run Android 8.0 Oreo out of the box, which isn’t the latest version. That would be Android 8.1, but as we all know, Samsung doesn’t care about particular versions that much, but the security and features from 8.1 are included. 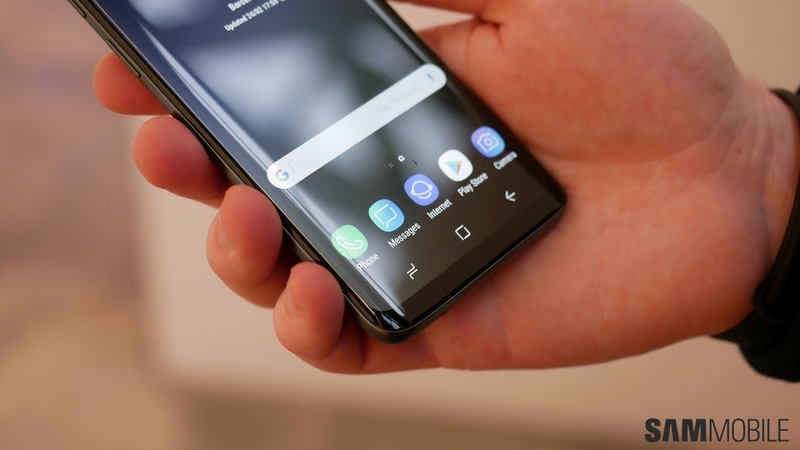 However, Samsung doesn’t seem to be using Project Treble; we can’t confirm this right now, but not having Project Treble would be a major slap in the face for Google’s efforts to make Android updates a less time-consuming affair. 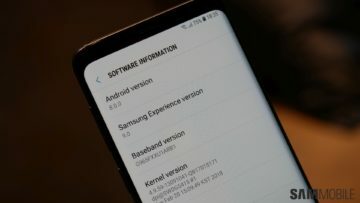 As far as the user interface is concerned, the S9 and S9+ have Samsung Experience 9.0 with the same interface that Samsung has been pushing to the Galaxy S8 with the Oreo update. 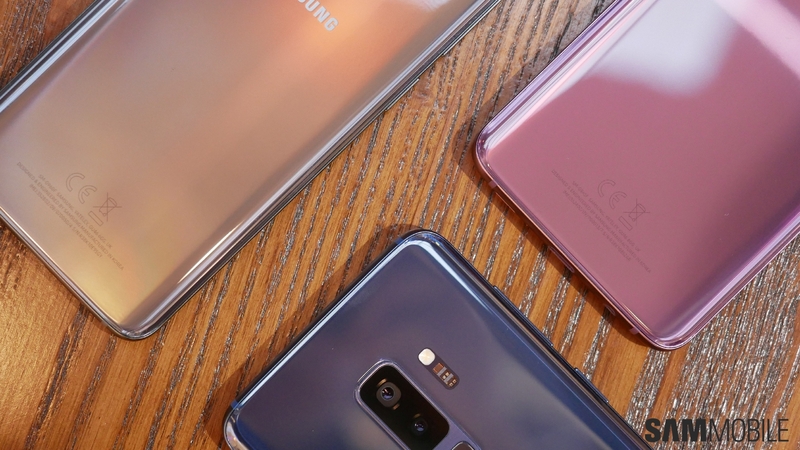 The Galaxy S9 and S9+ are IP68 certified for water and dust resistance, and they also come with support for 400 GB microSD cards. 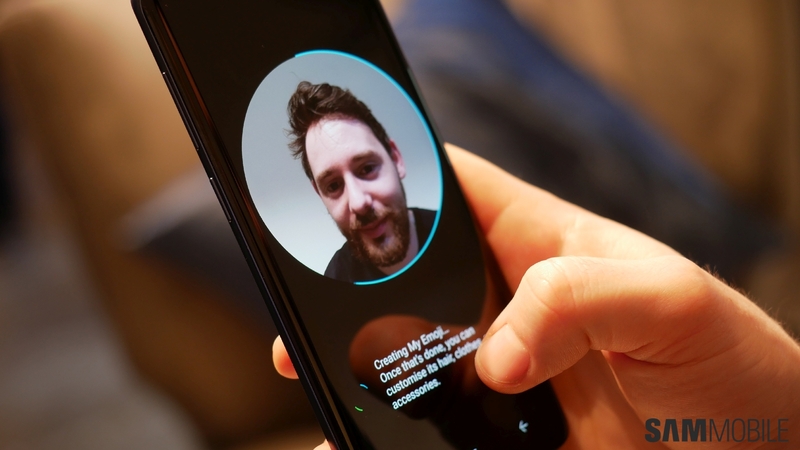 Iris and facial recognition finally work in tandem for faster unlocking and authentication with a feature called Intelligent Scan. It’s something we’ve longed for since the Galaxy S8 was released, and fingers crossed it will also be enabled on the S8 and S8+ with a software update. Oh, and Samsung will also be launching 128GB and 256GB storage variants, although availability details on those aren’t available at the moment. That’s about it for our hands-on experience of the Galaxy S9 and S9+. Are these devices amazing? They sure seem to be, although Galaxy S8 and S8+ owners probably wouldn’t gain much by upgrading. Photography is the major highlight here, and if you care about getting the best photos, the S9 and S9+ have camera specs Samsung can proudly boast about. Of course, it’s too early to come to a conclusion, so look forward to our full review of the Galaxy S9 and Galaxy S9+ in the coming weeks. Will the ARemoji option come to note 8 in oreo update ??? Will the Note 8 get the ARemoji in oreo update ???? Is there something new on the Messages app on S9 aside from the icon? Nice overall review. It looks great, particularly the camera but I’ll wait for the Note9, Note8 is ok for now. Just one point Abhijeet, I have a 400gb SanDisk Micro SD card in my Note8 right now. I always wonder why Samsung doesn’t just say their phones can take up to a higher capacity SD card like other companies. Haha, we’ll try making a post with all the photos we have. Stay tuned! You didn’t get the sarcasm I think.